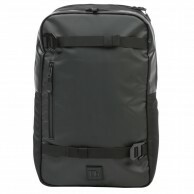 Free Rider S-backpack. The s-models are ergonomic optimized for women. The hip fins are shorter and conical formed. The shoulder straps are shorter, thinner and s-shaped. It is the lightest airbag system in the world. Thanks to innovative airbag processing technology. Whereby the material is processed for the first time ever without sewing or additional sealing, and thanks to the drastically reduced venturi unit the system weight is only 640g. 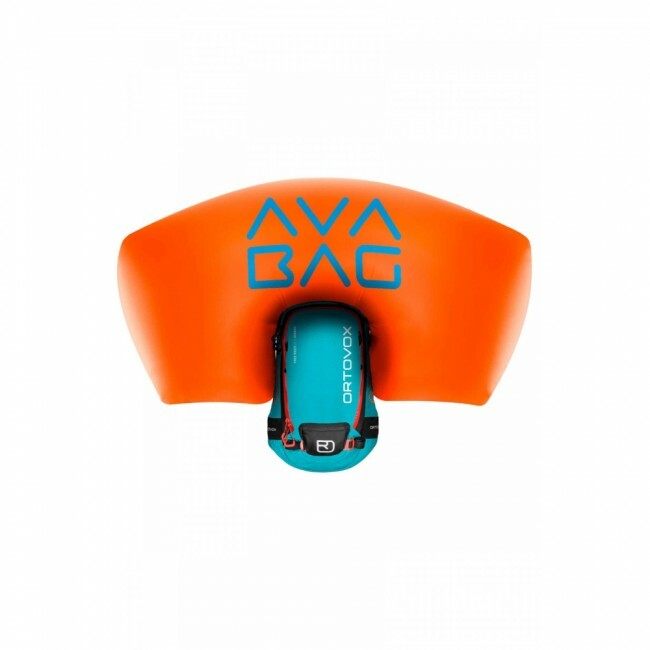 Just a few motions and only three minutes is all it takes to install the AVABAG unit. If conditions allow, installing the airbag system can be entirely avoided. 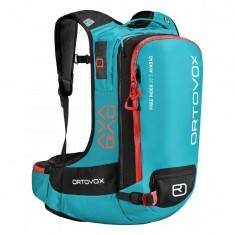 In such cases the backpacks are up to 950g grams lighter and gain several liters in additional volume - making them suitable for a broader spectrum of uses. In addition to its unmistakable silhouette, the highlight here is the new removable SPS Flex back protector. 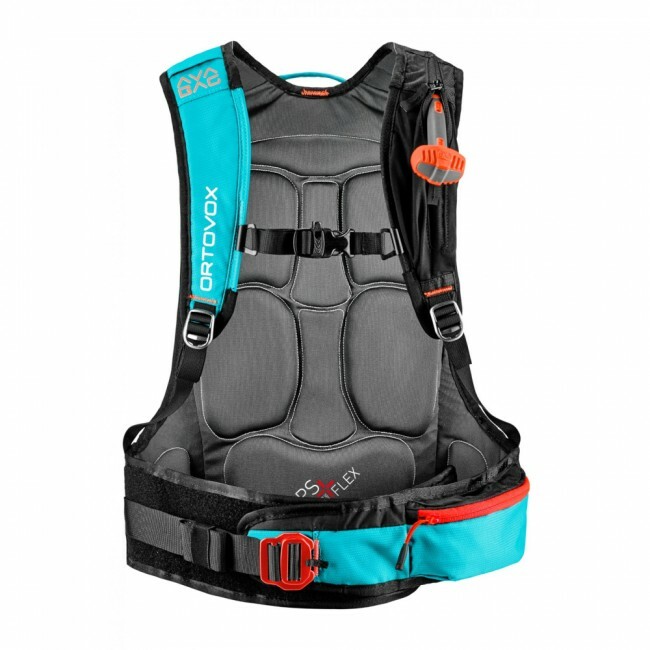 It provides TÜV-certified safety and can also be used separately with the included attachment straps. It affords optimal ventilation courtesy of ist ventilation holes. The ergonomically designed straps and the wide elastic hip belt with ist innovative aluminum locking clasp ensure the protector fits per-fectly and thus provides optimum protection. It provides additional safety and ease of use even when wearing thick gloves. What's more, we rely upon robust aluminum and abrasion-resistant 420D ballshadow for its new multi-functional D-SKIFIX ski fastening system. 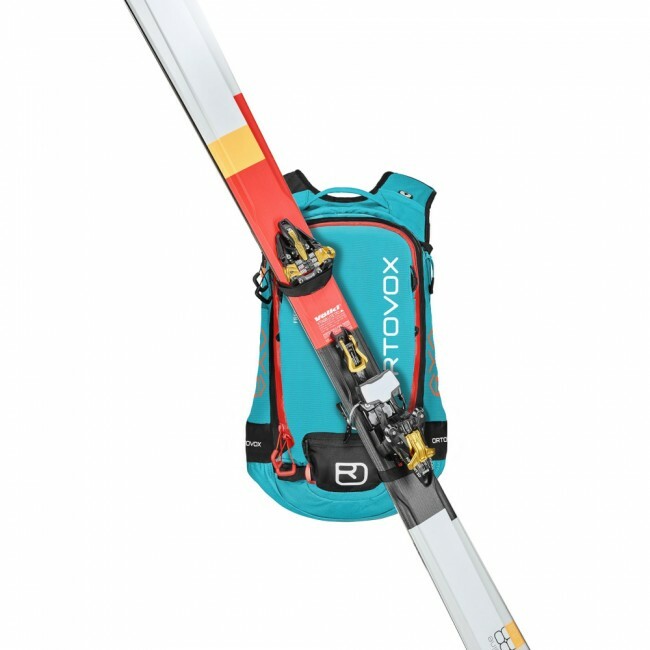 Secured by locking aluminum clasps, the skis can be attached diagonally as can snowboards or snowshoes.